On Monday September 24th the Lightning Class lost a legend. Mark Bryant of Buffalo, NY and Fort Meyers, FL, passed away at the age of 61 after a brief battle with esophageal cancer. 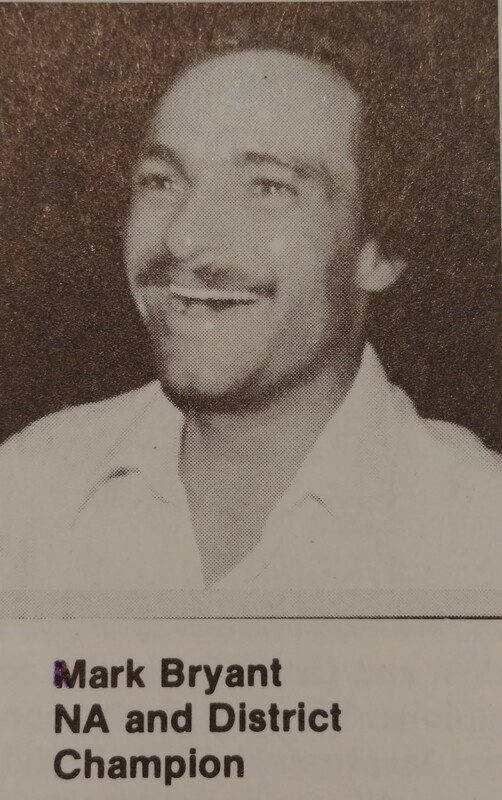 Mark was an early sailing prodigy, sailing at Silver Lake Yacht Club in upstate New York and the Buffalo Canoe Club. He won numerous Junior Championships and finished second in the Sears Cup. He went on to distinguish himself as a two-time Lightning North American Champion, as well as multiple other Lightning majors. In the late 90's as his own health faced challenges, Mark turned his attention to Disabled Sailing, where he actively coached, sailed and built 2.4 meters. He will be remembered as a fierce competitor and a generous person giving freely of his time to other sailors. He is survived by his wife Carol, daughter Carolyn, sister Betty Lou France and brother Matt Bryant. Mark would often call the Class Office after our major events and always wanted to talk about who was fast and what were the conditions like. He liked keeping tabs on what was going on and often offered his opinions on ways to make the Class better. In 2006 Class reporters interviewed many of the longtime “family members” from the Class and had them tell their Lightning Family Story. Many were serious, world-caliber champions, others were not, but their stories all resonate the same idea. Being a Lightning sailor is more than just sailing a Lightning. Being a Lighting sailor is being part of the family and this week we lost one of our own. Below taken from the 2006 ILCA Yearbook, interview was done by Alan Terhune. I think Mark would like to have his own words close us out. Why do you love sailing Lightnings? I could write a book about my adventures of being a Lightning sailor for 40 plus years. It has been said that if you can win in a Lightning then you can win anywhere. That statement is true; many great Lightning sailors have sailed other boats and have done very well. The boat is not easy to step into and do well. It takes time and dedication to the boat. In your opinion, who is the best sailor to not win a North Americans or Worlds? Who is the sailor you most like to race against and why? Hands down, Larry MacDonald. 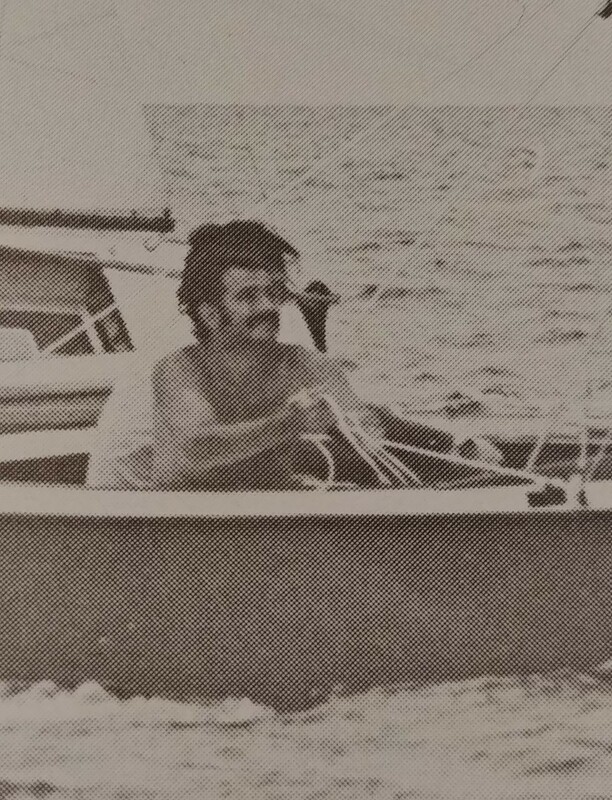 He and I sailed against each other a lot all the way back to the mid-seventies. . . Don’t take me lightly on this guy, behind that happy go lucky exterior there is one fierce competitor. There were many times that during a race we’d exchange some good laughs or pass a cig or cold beverage between boats. . . We did that stuff in really major events. In addition, all those races (some 500) we never got into a protest. What is the biggest difference in Lightning Racing between the 70s? and now? During the 70s, there was more choice. There were 5 good boat builders, half a dozen sailmakers. Choice is always good. In the early 70s, the class went through a chaotic time with spars. 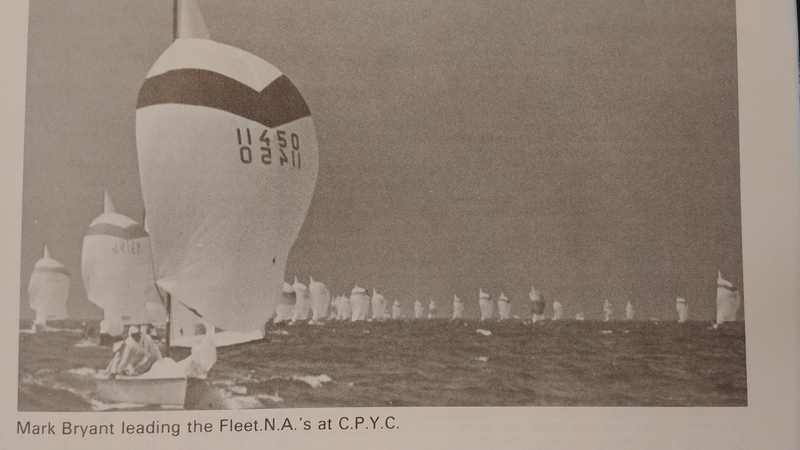 I honestly remember major events where there were, wooden spars, tapered aluminum with jumpers (jumpers where a support at the upper hound area transferred from wood masts), untapered aluminum with an external sail track and then the new oval. Now our selection is quite limited. 2 boat builders (both quality), and 3 or so sail makers. The individual equipment supplier has seen better days. Finally, the biggest difference is fleet racing. In the 70s, fleets of 30 plus boats were very common, not so today. On a more positive note, our juniors and next generation appears to be on the rebound. What innovation do you see out there, that people could do now, within current class rules, to make their boats go faster? There are two specific areas. First, understanding sail shape needs a lot of work. There are very few who actually understand what they are looking at. In defense of sail makers and any coaches, sail shape is by far a very difficult topic to teach or understand. Many years of experience, with help, is the only way to improve. The second is with the entire boat. Today, you buy an out of the box boat. Put together and go race. I guess that’s OK if you’re the greatest of all time. Years ago, Don Brush made great rudders. Strange shape, very light, and quality. I bought it, changed the shape and loved it. The class says it’s too light, and implements a weight of 8 pounds. I still have that blade, can’t use it but it is a piece of craftsmanship. Rudder shape - only a select few really get into going faster. Ched Proctor’s boats are always prep to the max. If the 15’ arc wasn’t max, he would wet sand all the way through gel coat to get max. That was real dedication. Rigging, Bill Fastiggi has some very unique ideas that work. I keep my rigging very simple; it is an attempt to get my team’s heads out of the boat. What is the best regatta in terms of depth of talent, which you have participated in? 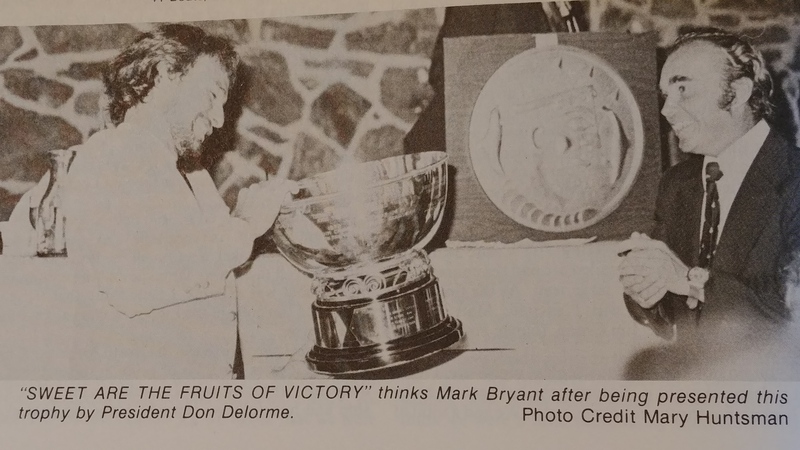 No question - The ’85 Worlds at Little Egg Harbor. Participants were the previous 5 World Champs, the past 6 NA champs. That was by far the most competitive regatta I’ve ever sailed in. That’s just the helms person. Now throw the likes of the crew in and give me a break. Betsy Alison, Cory Sertl, Kip Hamblet, Rob Ruhlman, Jody Lutz, Brian Taboada, and too many others to mention. By far, the deepest, and most talented. What a great regatta. After the oval spar, what is the second most significant change the class has seen? There are many, wood boats to glass, steel boards to stainless, cotton to dacron, to whatever we use today. Really good trailers, you can’t believe some of the junk we trailed down the road at 90. The biggest is with somewhat self-rescuing boats. . . Years ago, it was nearly impossible to right a boat, no less sail it out of a capsize. The boat is way safer. 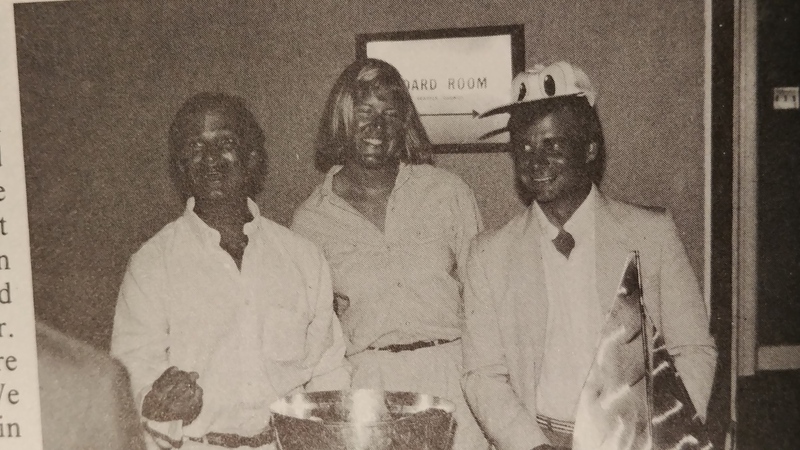 How would the stars of Lightning sailing today, stack up with the stars of the 70s? Bruce Goldsmith vs. Ched Proctor. Absolute draw. . . Night and day in approach and prep. . . Bruce would go golfing with a cold beverage, Ched would wet sand, re-rig, and go sailing. Tom Allen vs. Tito (It’s cool to go by one name). Both too talented. Both sneaky quick, you know they are there but it’s like they have a cloaking device. I sailed against both in their prime: Tito gets the edge only because he consistently has better crew. I can’t say that, because Tom’s 3 Worlds in a row: Anne Allen and Larry Bone were special. . . That’s pickin’ ‘em. Matt Fisher vs. Alan Terhune. . . That’s not fair, or is it? Both very intense, and I mean, intense. Neither has outstanding speed but are NEVER SLOW. Designer sailors, sail by the book tactically, predictable but very tough to defend or beat. Very good match up; would be a fun match race. Jim Carson vs. Taylor Lutz. . . What a scene it’ll be when Jim hands Taylor the big trophy. The kid has talent and a very fine teacher, but Jim is the teacher of many greats. Jim had back to back heart-breaking losses in ’70 and ’71 NAs. Youth vs. Experience, gotta go with Jim, but the kid will win; it’ll be fun watching this career blossom. Talent is talent in any era, today's sailors have a lot of advantages, i.e. : coaching, better equipment. I think we had more freedom in the ‘70s and it was different racing, no 720, no throw outs, no Harken. . . There are many personalities that have sailed and are sailing Lightnings.Who is your favorite and why? That’s a tough one, only one, because over 40 plus years there have been so many. . . Bruce Goldsmith. He also had a single name (the Bruin) and only person I know to have a sail named after him. Bruce was/is a character and a great, great sailor. 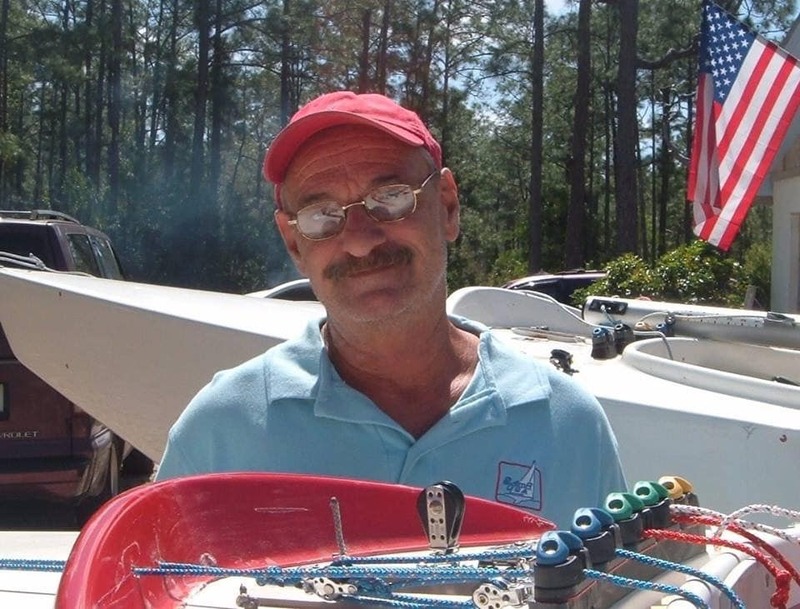 I had the opportunity to sail with him in Lightnings and Solings when I was 15 yrs old. What an experience on and off the water. Who is the best boat handler you have seen? Mario Buckup, hands down. His teams had technique, that hasn’t been duplicated, although, Linton’s team is close. Great sailor, and an asset to our class. Who is the most influential person on your sailing ability? Bill Shore. . . He taught me how to win and lose, made me think way too much. Bill is still coaching me and supporting my Paralympic campaign. Who do you think has had the most impact on the class, either sailing or supporting the ILCA organization? Dave Nickels, Tom Allen, Jr, and Greg Fisher. In different ways, they have all been available to provide a service and support the membership. When was the best period for racing Lightnings? The early ‘80s. We had a lot of ‘older guard’ mixed with new blood. Tom Allen, Mario Buckup, Bill Shore, Ken Read, Dave Curtis, Jay Lutz, Larry MacDonald, Jim Crane, Manuel and Tito G. plus the whole Fisher clan. . . that was a lot of talent. Rank the 10 best Lightning skippers of all time. All these sailors have great careers and at their time were by far the best. This is a top ten of only my forty years. Let the arguments / discussions begin. I’ve enjoyed my life in the Lightning Class.